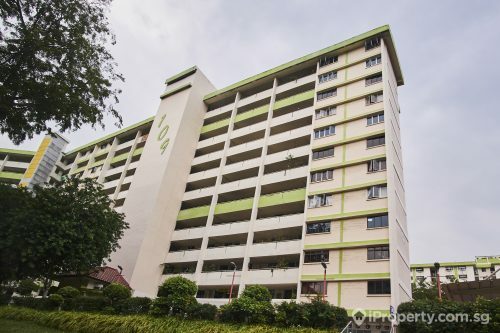 Mon Jervois is a 109-unit development located in a quiet enclave of exclusive landed and low-rise condo developments in the neighbourhood of Bishopsgate and Jervois Road within the Chatsworth Park Good Class Bungalow area. Could it be the boutique high-end condominium that meets all your needs? A low density 99-year leasehold residential development set in the safe, tranquil neighbourhood within the prime District 10, Mon Jervois obtained its Temporary Occupation Permit (TOP) in 2016, with no new residential development launch prior for more than a decade. Built on the site of a former school, it is designed by Ong & Ong Architects, with landscaping by renowned landscape designer Belt Collins International. Winning the land tender was Singapore Land Limited (SingLand) and parent company UIC Limited, who had the highest bid of $118.9 million for the 96,423 sq ft site, which translated to $881 psf ppr. Location has, and always will be one of the biggest pull factor for property seekers, and what the residents of Mon Jervois will get is a premium living space in a well-connected neighbourhood, with easy access to major expressways and proximity to both Redhill and Orchard MRT Stations, as well as shopping enclaves – Orchard Shopping Belt, IKEA Alexander, Tiong Bahru Plaza. For families with children, the renowned schools and international universities nearby, which include the Crescent Girl’s School, ISS International School, Alexandra Primary School, and River Valley Primary School are a huge plus. Offering a mix of units starting from 614 sq ft to a mix of two- to four-bedroom units with sizes of 1,475 to 3,003 sq ft, the development has seen a pickup in sales post-TOP. Among the 20 choice units currently available, there are 1,389 sqft 3-bedroom and five loft units ranging from 1,539 – 1,688 sqft and various types of Penthouse units to suit different needs. Interested buyers can choose from the Normal Payment Scheme, or Deferred Payment Scheme that provides buyers with additional time to sell their existing property and sort out their finances. And for those who value their privacy and space, you’ll find that Mon Jervois offers a density of almost up to 80% lower as compared to other similar condominiums launched in the area. Apart from offering a “private” property experience with their abovementioned low density, Mon Jervois also offers to its privileged owners a lavish yet cozy living environment. Surrounded by the alluring landscape and water features that provides a refuge from the hustle and bustle of the city, the development also creates an inviting haven with a full array of facilities including the clubhouse, Al Fresco dining deck, lounge terrace, and the lap and jacuzzi pool. Moving on to the living space, each unit comes with premium quality fittings, finishes and appliances afforded from the likes of Laufen, Miele and Hansgrohe. All of these within a generous and highly efficient layout with, either a furniture deck, storage space or double volume ceiling space with a mezzanine level, depending on the unit considered. 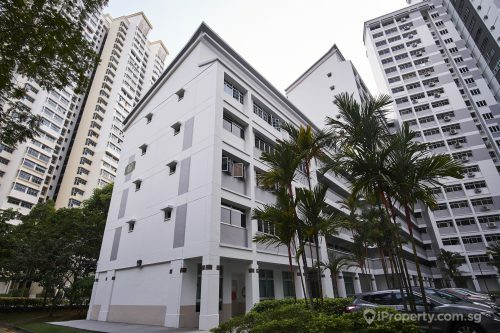 Close enough, but yet retaining its privacy within its own enclave, Mon Jervois is in close proximity to the Central Business District (CBD), Science Park, One-North and Mapletree Business City, which should safeguard its investment potential over the long-term with high capital appreciation and great rental yield potential. 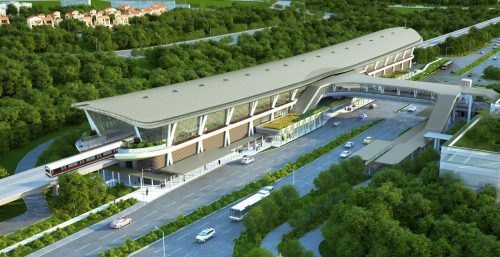 As for public transportation options, Redhill MRT is a mere 700 meters walk away, or the equivalent of a 7-minute walk. For the best city living within a garden environment, click here to register your interest for a private viewing or for more information.